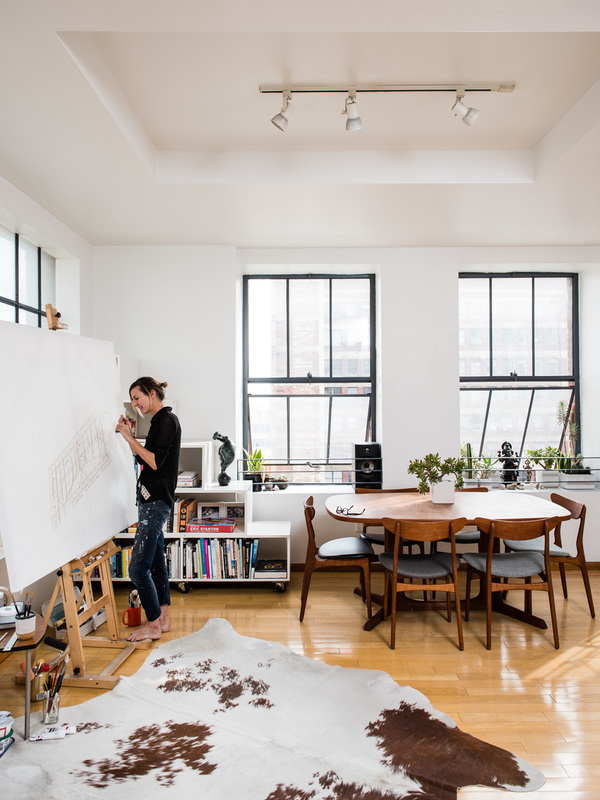 Two weeks after I relocated to Los Angeles I moved into a loft on Broadway in Downtown. The architecture and typography on the vintage signs rocked my world. In this series, I tried to capture the faded glory of historical DTLA – always leaving the buildings that support these signs as blank canvas to reflect the rampant gentrification changing my neighbourhood. The galleries below show the works in progress, including reference materials and the photos I took during my research. They are in no particular order. For the completed works, click here. This ghost lettering 'Paramount' and '6th and Hill' can be seen on the side of an abandoned building across the road from my fire escape on the 9th floor. 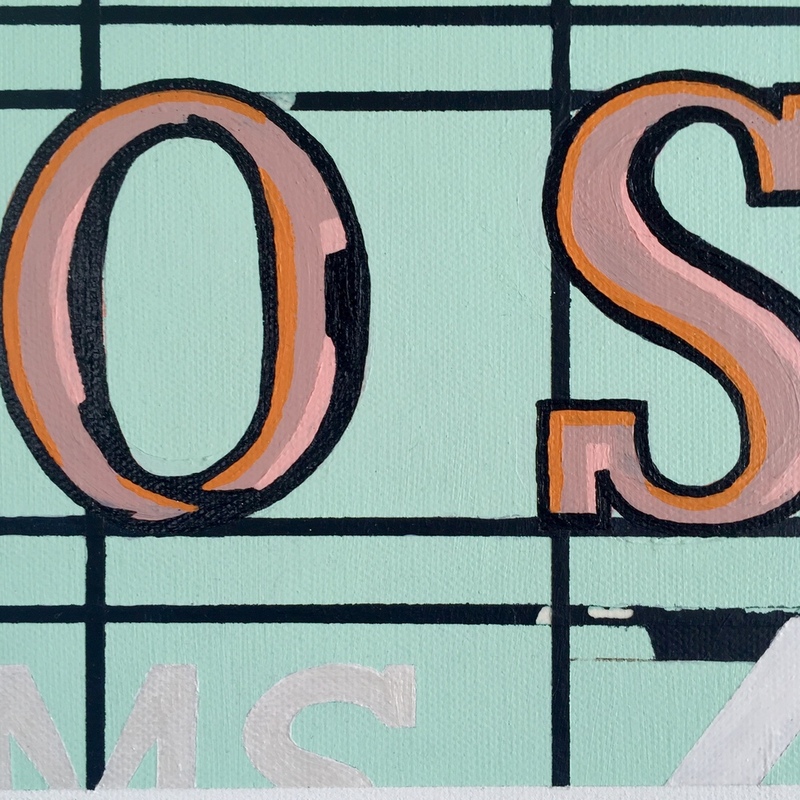 The painting began in muted pinks and pistachios – inspired by the 1950s ice cream sellers who would have trawled the cinema's aisles during the movie's halftime. 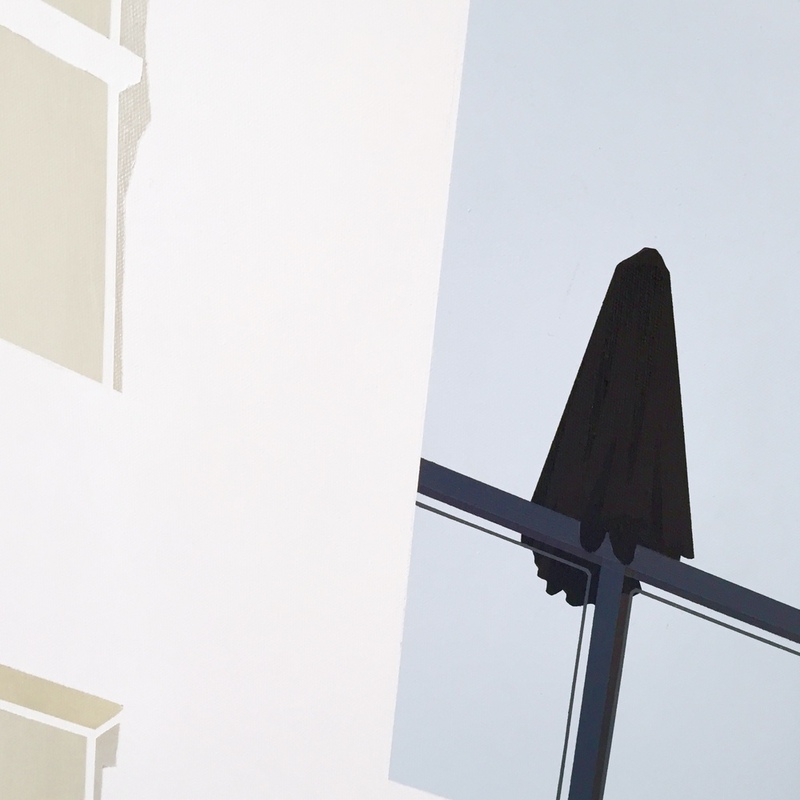 Layers and layers of off-white were applied to the canvas until the painting itself became a 'ghost'. When I hung it on a white wall it immediately struck me that the architecture should live on... so I graffiti-ed the entire wall, ultimately creating a dual-surface work. My first sighting of the Silvercup Studios sign was from Queensboro Bridge, aka the 59th Street Bridge (you have to be in the terrifying far right lane to see it). I fell in love with it immediately and knew this would be my first painting of New York. To get the angle that I wanted I had to climb the Studios' car park fence and shoot the sign whilst hanging on to the flimsy wire. The colours are an homage to Warhol's red, white and grey Campbell's Soup cans – and to the sign itself. 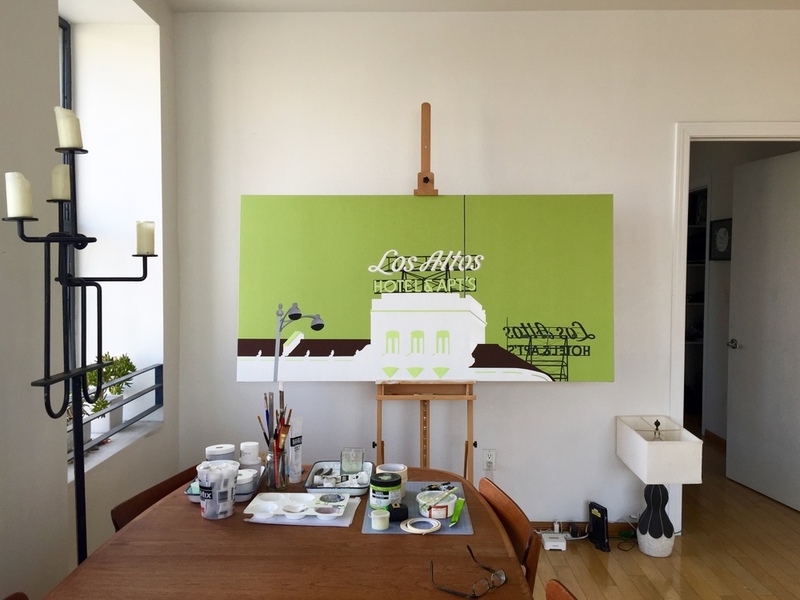 The colours are in dramatic contrast to the sun-bleached palette of my Los Angeles paintings – a reflection of the high octane vs. chilled out energies emanating from these two great cities. Notes sent to the Collectors: Iconic LA; dark purple as an homage to Prince (RIP) who died the day sketching started on this; British ‘Thomas Pink’ lettering colour and palm trees crossed with NZ ferns – a nod to the artist's roots; hotel architecture re-imagined in California’s ‘Desert Modern’ style; night time setting inspired by Amy Wallace's rooftop photos sent to the artist; faint muddy paw prints on the sky courtesy the artist’s cat, Clarence. 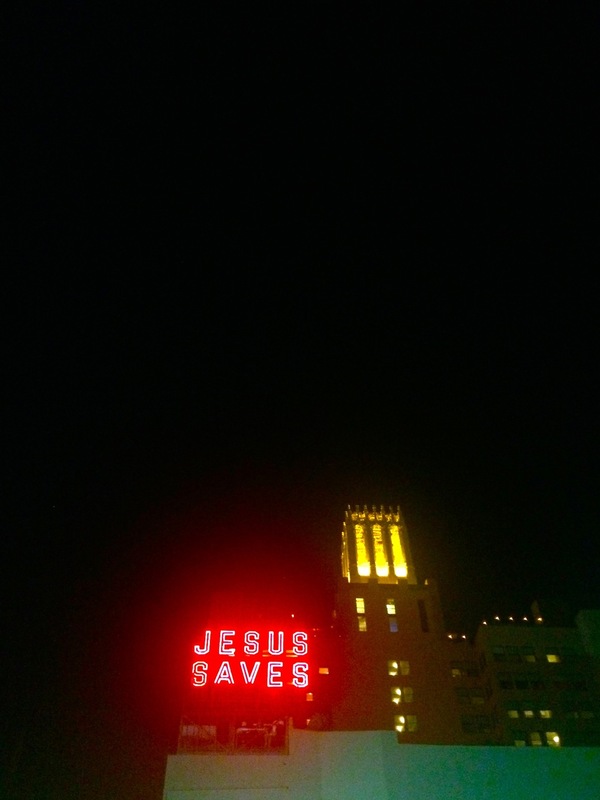 Everyone, and I mean EVERYONE knows the Jesus Saves sign in the car park behind the Ace Hotel. For the record, this atheist adores it. As I was photographing the sign from every angle possible I started to wonder, what if Jesus was on Twitter – would he be favouriting (fave-ing) instead of saving? What else would he be doing? And so the painting has spawned these tongue-in-cheek variations: 'Jesus Shaves'; 'Jesus Wept'; 'No One Saves'; 'Gold Paves' and so on... you get the picture. 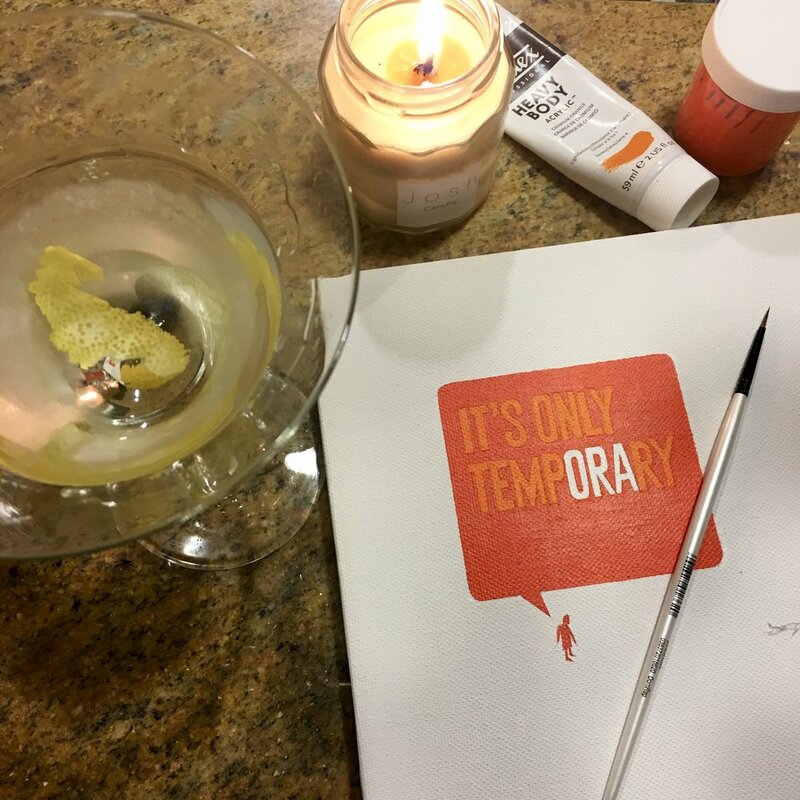 These works are currently in progress and they will be created in various mediums, including: a neon sign; a screen print; and a set of glicée prints. 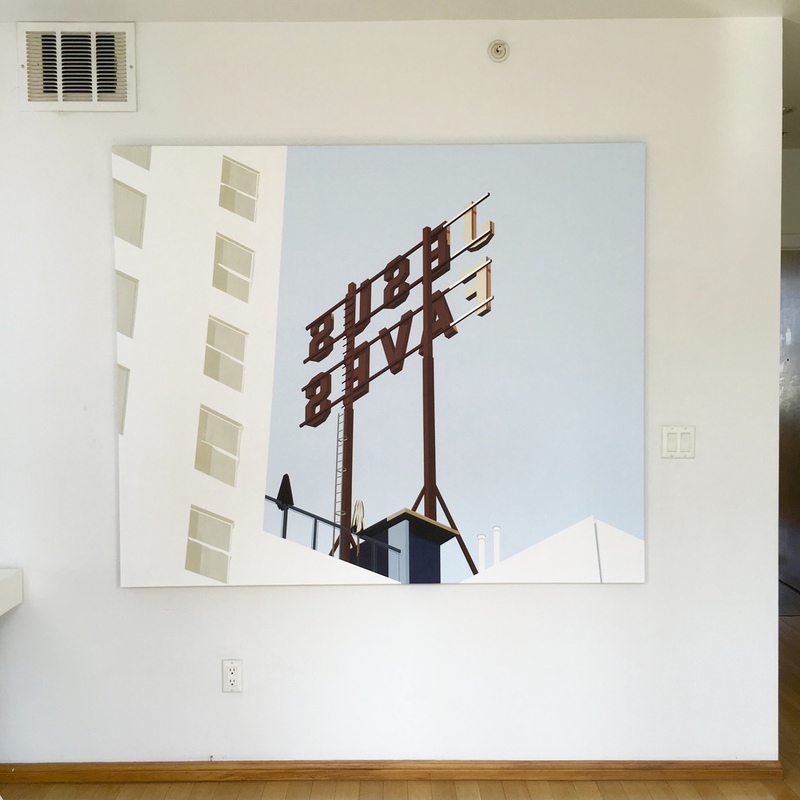 The Hotel Rosslyn was my first painting in the LA Signs Series. I can see the back of it from my roof – it's magnificent. However I chose to paint it from the front, as it faces Skid Row. 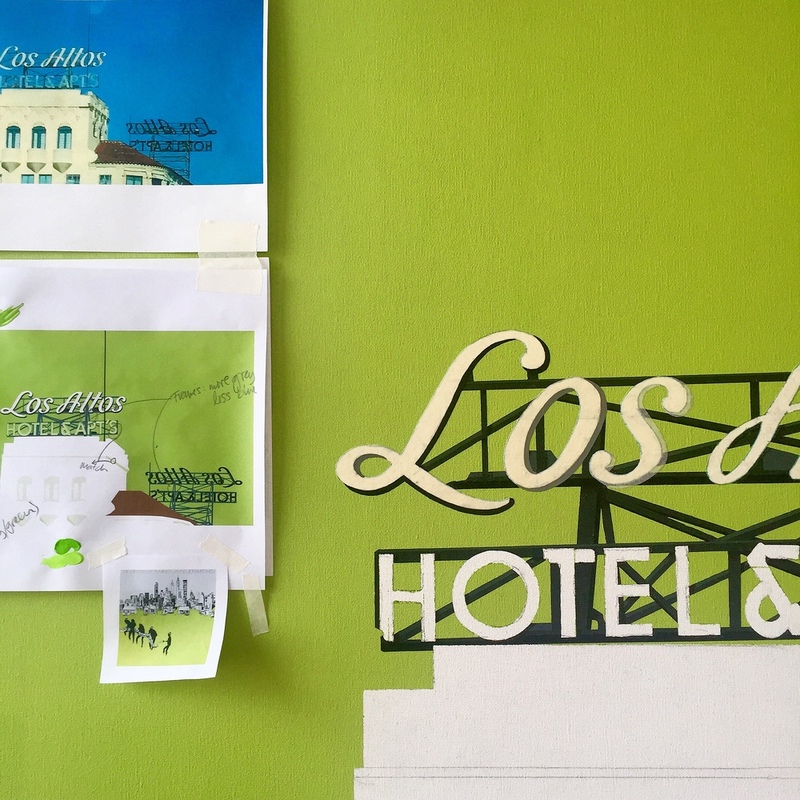 The hotel is actually two buildings – built in the late 1910s-early 1920s – and it now serves as affordable housing for the Skid Row community. My favourite part of this sign is the boast of it being a 'New Million Dollar' hotel. That would barely buy one floor these days. I only managed to take one shot of Los Altos, and that was on my iPhone from the No.73 bus. I loved the typo (Apt's) and it's fragile frame. According to the always-reliable internet: the Spanish-Colonial style apartments, built in 1925, 'catered' to stars including Jane Novak, Clara Bow, Bette Davis, June Allyson, Peter Finch, Douglas Fairbanks, Judy Garland, Loretta Young, and Mae West. 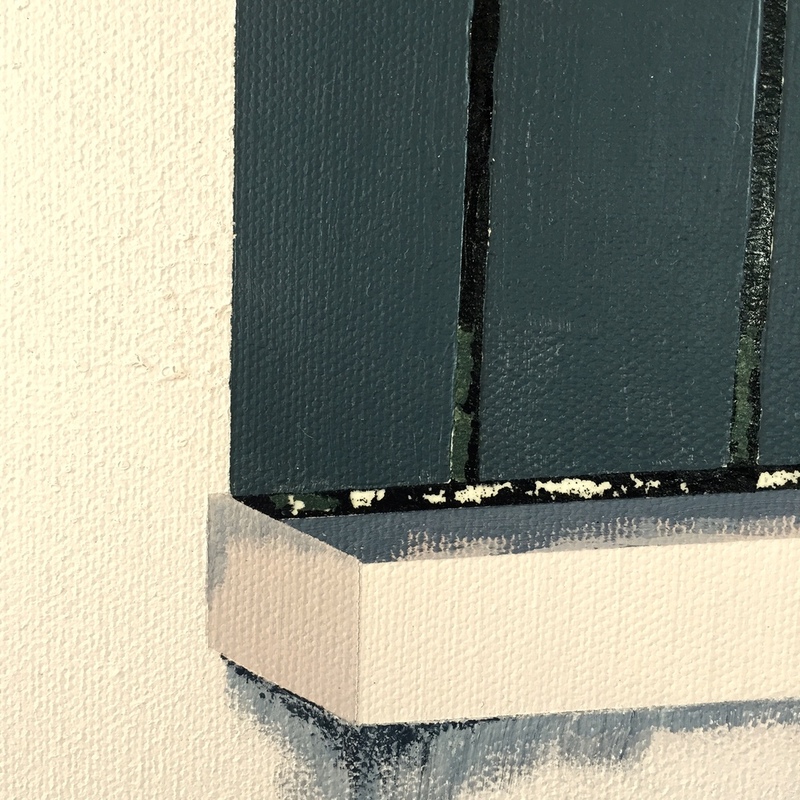 The painting began in the craziest of colours – inspired by 1980s LA photographer Larry Sultan (I had just seen his retrospective at LACMA), and in homage to Joni Mitchell's "Hissing of Summer Lawns" album art (she had been rushed to hospital the day I began work on the canvas). The problem was, when I finished it I couldn't stand looking at those colours for more than a minute at a time. So the green had to go.